Make a balloon blow up using only water, sugar, and yeast. 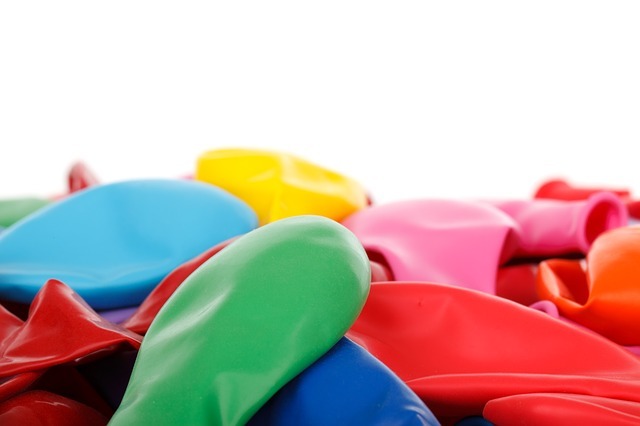 How can a balloon blow up all by itself without any blowing it up? What is filling the balloon? Stretch the balloon out by blowing it up and releasing the air three times. Pour the warm water into the bottle. Make a funnel by rolling a piece of paper into a cone shape, then put the pointed end into the mouth of the bottle. Pour the sugar into the bottle through your funnel. Put the cap on and shake the bottle until most of the sugar has dissolved. Take the cap off. Put your funnel in the mouth of the bottle and pour the yeast in so that it floats on top of the sugar water. Quickly attach the balloon to the mouth of the bottle. Set the bottle in a place where it won’t be disturbed and write in your notebook what time it is. Go back and check the bottle after two minutes and write down changes you see to the liquid in the bottle or to the balloon. Check it again in five minutes and write down any changes. If it doesn’t look like much is happening, leave it for about 15 minutes and then look at it again. Continue to check on the bottle and balloon about every 15 minutes. The reaction may continue for up to several hours.